The world in this book is very different from the world that we know. Kean was born with a deformity and was thus cast out of the pyramid. He was taken in by one of the teams living out in the desert. Life is hard without much water, especially since the group called the Cruisers controls it. Trouble starts and the pyramid is overthrown. Kean rescues Elessa and they build a trailer to use the wind to carry themselves across the Big White. This is a great sci-fi story of survival and ingenuity! Here in a vast lost valley, society has split into two: the Wanderers, who team together to battle against the elements and each other in the harsh world of the desert, and those who live in the pyramid-city of Arcone, whose closed environment and tightly controlled society enable them to maintain a more civilized existence in the face of an environmentally devastated planet. Conflict is inevitable . . .
Kean is a Wanderer, adopted into a team that has protected him since he was a child. Essa lives with her parents in the pyramid and chafes at the mental and physical restrictions the government enforces to protect its people. But when a rogue Wanderer plans an attack on the city to gain its resources for his people, Kean and Essa’s paths collide with an impact that will alter their lives forever. 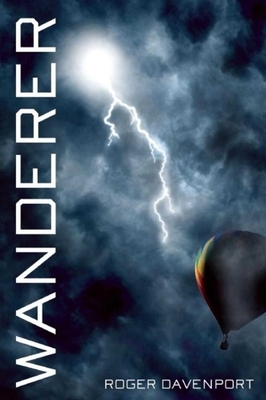 The next in a line of postapocalyptic coming-of-age stories that began with Lois Lowry’s masterpiece The Giver and moved on through the Hunger Games series, Wanderer is a journey of danger, growth, friendship, and hope for a new generation. Roger Davenport became a writer after careers as actor, advertising executive, and theater manager. Among his TV writing credits are episodes of All Creatures Great and Small, Bergerac, and The Bill, and his books for young people have been published by The Bodley Head, Bloomsbury, Red Fox, Scholastic, and Oxford University Press. He lives with his wife, Joanna, in London, England. "Two sides collide in this well-imagined future. The pages burst with energy, strength, and adventure."